Life is Beautiful Single Day Tickets are on sale now! | Do You Hear The Music? Life is Beautiful Single Day Tickets are on sale now! Get ’em while their hot…….and available! 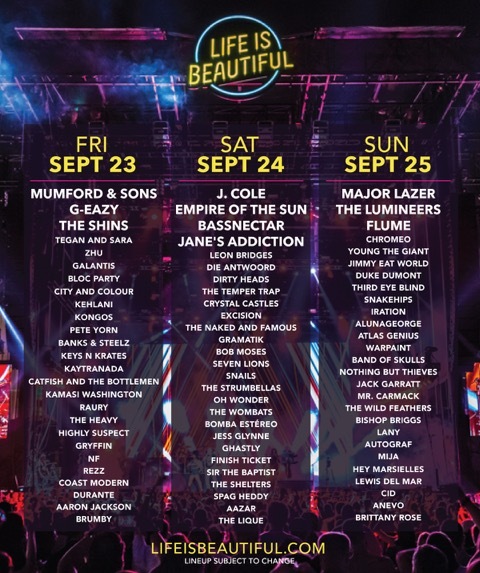 Limited number of single day tickets to Life is Beautiful are on sale now! Visit www.lifeisbeautiful.com to purchase and hope to see you in 42 days!